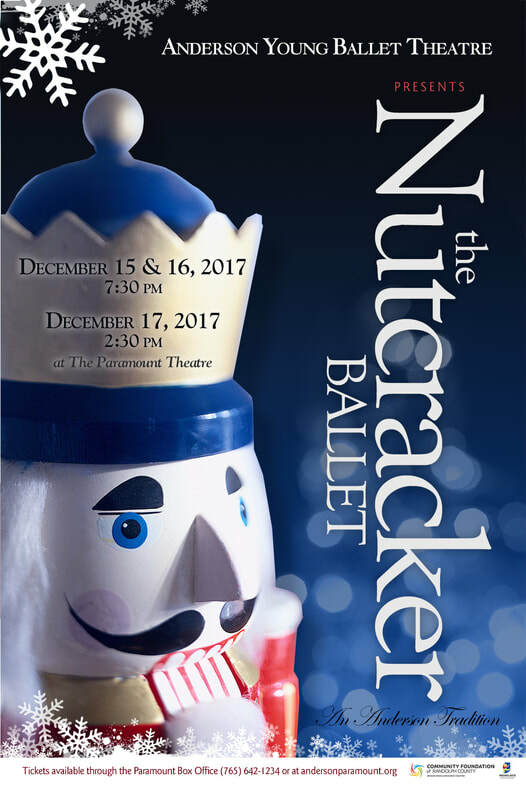 Performances & Events - Anderson Young Ballet Theatre, Inc.
Tickets are available through the Paramount Theatre Box office located at 1124 Meridian Plaza, Anderson, IN 46016. Box Office hours are: Tuesday - Friday 9 a.m. - 5 p.m. Tickets may be purchased by phone with a major credit card by calling 765-642-1234. The Paramount Theatre Centre is open one-hour prior to performances and during intermission. All tickets are non-refundable. Service fees will be included in addition to each ticket price. CLICK ABOVE IMAGE FOR TICKETS!